This gorgeous quilt would look perfect over your couch this Christmas. Use your piecing skills to make these perfect Dresdens to look like pointettias. Lindsey's pattern is easy-to-follow with great instructions and pictures. "I have a love for Dresdens! They are so lovely, and make such a bold statement! 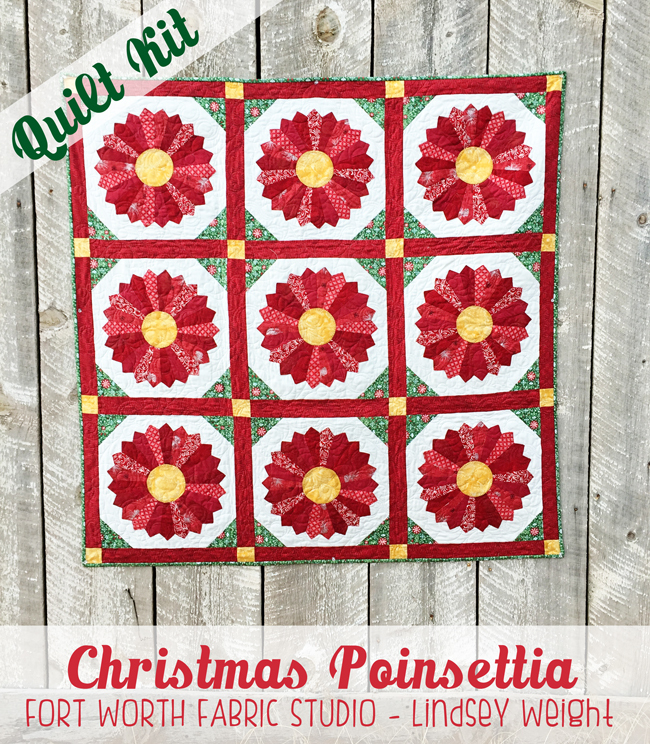 When designing this quilt, I wanted the Dresden's to take on a Poinsettia appearance. I had the vision in my mind, and my mom helped me make that come alive when she pieced this beauty! 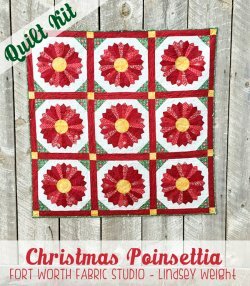 I love the traditional look of this quilt, and the bold red against the white background! It really makes those Dresden's pop! :)"